If you’ve never had a bento box before, then you might not know what you’re missing out on, so here is more information about what makes a bento box so great. Right now you’re probably. Even if it isn’t lunchtime yet, you’re thinking about what to have for lunch. 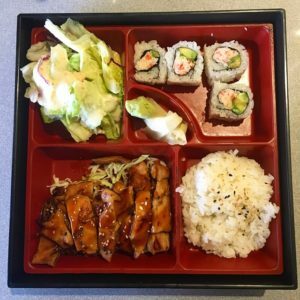 If you’ve never had a bento box before, then you might not know what you’re missing out on, so here is more information about what makes a bento box so great. The concept of the bento box goes back to the fifth century CE. It’s around then that the idea of the box pops up in recorded history, as people packed lunches with them to get them through their daily tasks. Those tasks could include hunting, fishing, farming, or marching off to war. All of these would mean they would be far from home and might not be able to eat a meal at the table. So the idea is they would bring food with them as they traveled. However, the first real bento box wouldn’t show up until the 16th century CE. This was the time of the Japanese warlord Oda Nobunaga who wanted to make sure his troops stayed fed while on a campaign. The Edo period that ran from 1630-1868 saw the box become even more popular. That was because people could start going out and enjoying themselves, and bring food when they went to the theatre. The introduction of trains into Japan created a boom in popularity, as the boxes were sold in train stations during the Meiji era that lasted from 1868-1912. Modern boxes are easy to find in Japanese restaurants and sometimes, even at the mall. In America and other places in the West, they’re usually served in a plain black lacquered box, but in Japan, you will find much more exotic designs, such as characters from pop culture. The bento box is a relative newcomer to the West, though, as Japanese-American sugar plantation workers first brought them during the 1980s. When it comes to building your own Bento box, feel free to experiment! Try using rice, noodles, vegetables, salads, and proteins! If you’ve seen boxes with dumplings in them, that’s perfectly normal, as is one that features sushi or sesame chicken all in the same box. If you travel around, you’re bound to find unique combinations, too. That’s because the bento has made its mark outside Japan – in Hawaii, Korea, Taiwan, India, and the Philippines! This entry was posted on Friday, April 5th, 2019 at 12:41 pm . You can follow any responses to this entry through the RSS 2.0 feed. Both comments and pings are currently closed.